So from my favorite shelves (the ones with the marvelous picture books that NO one is too old for) I pulled four the other night. These are the ones we read. "When you were small we used you as a chess piece, because our chess board was missing one of the knights and you were the perfect size." The artwork is soft and delightful colored sketches. 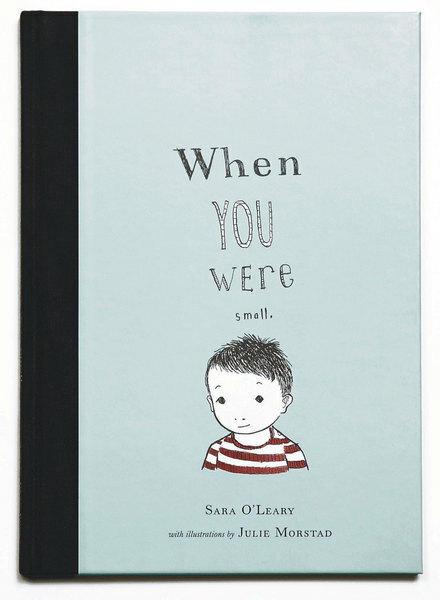 It is a very sweet book. 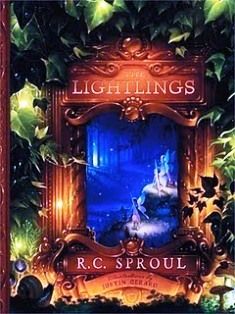 The Lightlings is a beautiful allegory of the King of Light. I am just going to share the description from ChristianBook.com because it is so good! "Dr. R.C. Sproul weaves an allegorical tale that captures the essence of the biblical story of redemption in a manner that will fascinate and delight children. A race of tiny beings known as lightlings represent humanity as they pass through all the stages of the biblical drama--creation, fall, and redemption. In the end, children will understand why some people fear light more than darkness, but why they need never fear darkness again." LOVE these stories of God's beautiful redemption of His people! It is a story about stories, about a time long gone when people sat around the fire and shared history through poetry and minstrelsy. It is a lovely book. This last one came to me via a review I did for TOS, The Cat At Night . The artwork is particularly intriguing as it uses black a lot at night to show what we see and the next page to show what the cat sees. If you have a cat-loving child, as I do, this is a really fun one. What does your outdoor kitty do at night? Does he sleep on the porch or does he explore? This kitty explores! I am going to be making a book series like this, and this is the first post. It is also my B is for Bodacious Books in the Blogging Through the Alphabet with Ben and Me! I hope you enjoy it. I have had the privilege to seeing a lot of gorgeous hardback books in my review/library/homeschool catalog time so I have many great finds to share. What I'm thinking: How grateful I am to be employed. Today's economy, as many of you know the hard way, is difficult. I am so very grateful to work for my favorite homeschool magazine. What I'm listening to: My husband's lathe in the garage. He is such an excellent woodworker. I am truly glad he can do this for the sheer pleasure of doing it. What we're learning: That I need to spend more time with my little ones. I don't spend enough "fun" time reading with them. I am going to endeavor to to read to them and play with them this week. What I'm watching: We have been enjoying Blue Bloods and I really love this show. There is a really lovely family dynamic that is expressed in this show and I like it a great deal. There is honor there and family loyalty and you just don't see that on TV much anymore. What's cooking: Chicken soup this week with basil pesto thrown in. This is my recipe. Check it out! 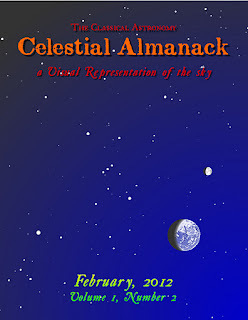 What I'm buying: I just downloaded the March Celestial Almanack! There is SO much going on in the sky and this is ONLY $3.00. Are you following the unfolding conjunction of Jupiter and Venus in the evening sky? Do you know that this is your last chance to see this until 2036? Check it out! What I'm thankful for: Our new baby boy, Rocky! :D This is our secret I was saving for today! He is a rescue doberman/shepherd. Isn't he a beauty? What I'm looking forward to: The California State Railroad Museum tour we are taking this week. A picture to share: Spring. When I first heard the name, Reading Eggs, I thought, What in the world? I had no idea what to expect or even what it was. As the Director of Product Reviews for The Old Schoolhouse® Magazine's Homeschool Crew, sometimes I review what we receive and I decided to do that with this program. I am so glad I did! Then she finds the sound amid other sound blends all the while listening to the "ch" sound. Then she finds the sound amid foods that begin with "ch" as indicated by their name. She hovers over the food if she does not recognize it right away and it states what it is. After that she blends two sounds that are repeated to say the word into one word by clicking first on the monkey and second on the chain. 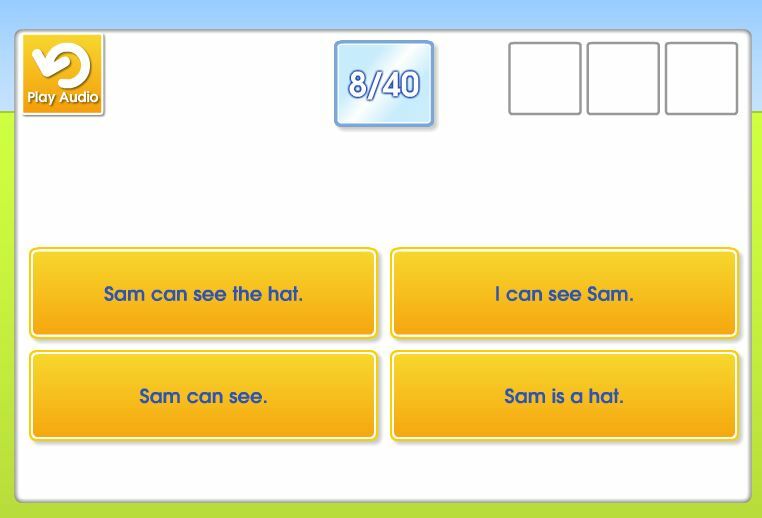 She does this three times and then the word comes together so she can read it completely. The lesson goes on from there, and there are many different types of lessons (this is but one example) but I appreciate the way it builds from simple to more complex. She is always rewarded in some way. Here she is receiving stars that build towards some other reward. The program is very encouraging to the learner and I love this! So the nice thing is that she really does have to do the work, or I find out about it! However, that has not been a problem because she ASKS to play Reading Eggs. She ASKS to read! There is another section of the website called Reading Express. This is for older children. Reading Express is for readers who are capable of reading chapter books and beyond. 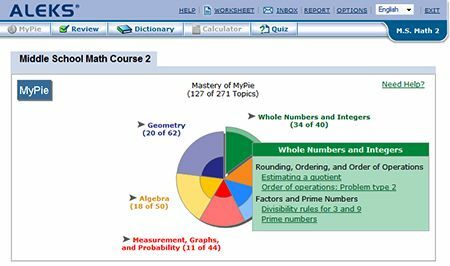 It has 200 comprehension lessons and a "library full of more than 600 E-books." This part of the site has its own "Floating Island." It looks like this and swivels so your child can access each part. This is something Emma did not do too much of, but I wanted to share it with you in case you have an older child that might be interested. The website also has free printable activity sheets for all 120 lessons. The parent dashboard is friendly to use and easy to navigate. There is nothing to download as the program is housed on the Reading Eggs servers. Reading Eggs offers a variety of pricing choices from $75.00 for twelve months or $49.95 for six months or for $9.95 for a monthly subscription. They also sell book sets listed on the same pricing page. There is a free trial to be had for those of you that want to try it out and you can find that right on the front page. We are very pleased with this program and will continue to use it for at least another few months to see how she progresses. I plan to continue the subscription beyond our allotted time period and am excited to see my daughter motivated to learn! Give Reading Eggs a look! You might be as surprised as I was at how well it works for you! It makes me think of the ABCs and that's what I am gettin' to. I am blogging through the ABCs with Ben and Me. I just love that homeschool mama! A is for AMAZING. That is what my husband is. Not only is he a wonderful provider, but he supports and loves me and our children. He is gifted in a thousand different ways, but he is really gifted in woodworking. Here is a close-up shot of his work. Isn't it lovely? And of course B is for Books. How can a homeschooler leave that out? We often read the best books when we study history, but I don't limit myself to just school hours when it comes to historical fiction. Have you ever read the Cadfael mysteries? It makes you feel as if you are right in the middle of the 12th century. That kind of book really makes reading enjoyable. C is for Creative. My youngest girl is artistically inclined and I love to see what comes through her mind and out via her pencil. D is for Dragon! See the results of our dragon co-op day. These are from my youngest two. I love the differences! F is for Fine Arts we study here at home. The desert was our topic and landscape our goal. Gorgeous colors, don't you think? Art Lessons for Children is our DVD art teacher. My Great Uncle died this weekend. He was a real war hero. He was one of those kinds of people we read stories about and can't believe they really existed. He was one of the kindest men I have ever known even though we were not close and saw each other infrequently. This is his obituary. It made me cry. Donald F. Kirk was born October 3, 1920 in Pottsville, PA and died Sunday, February 5, 2012 in Toledo, Ohio after a short illness. Don was awarded a YMCA membership by a local judge in elementary school and that forged a lifelong interest in health and fitness. While attending Pottsville High School, he became a Pennsylvania State Champion in gymnastics and that created an opportunity for him to attend Westchester State Teachers College. At West Chester, he met Dorothy Brennan, whom he married in 1946, after returning from WWII. They were married for 62 years until Dorothy’s death in 2008. Don was very proud of his service the U.S. Navy in WWII. After being commissioned as an Ensign by Gene Tunney, the World Heavyweight Boxing Champion, he chose amphibious landing craft and was assigned to the USS Tyrrell in the Pacific. The night before the Battle of Okinawa, the landing commander was injured. The Tyrrell’s commander ordered 24-year old Lt J.G. Donald Kirk to lead the command of the 24 landing craft carrying tanks and troops to the beach. During the assault and while he was on the beach, his ship was hit by a Kamikaze, but not sunk. Later in the war, he visited Nagasaki two weeks after the atomic bomb was dropped. After the war, Don and Dorothy moved to Toledo while he worked for Red Cross. Later, he joined Blue Cross and worked as an insurance salesman for 29 years. A lifelong Catholic, he was an active member of Christ the King, where he and Dorothy also sang in the choir. He volunteered at Red Cross and regularly attended American Legion meetings. He and Dorothy travelled extensively, including 25 Elder Hostels around the world. Always an adventurer, he rode a camel at the Egyptian Pyramids at 88 and visited the Holy Land at age 89. He is survived by an elder sister (my grandmother), three children, six grandchildren, and two great grandchildren. He was 91. HistoryDocumented.com interviewed him some time ago. This is part of his story. Don Kirk from Chris Wulf on Vimeo. Goodbye Uncle Don. You will be missed. And they do! Not just the night sky, but the day sky too. As I shared on the TOS Homeschool Crew blog, it was not too long ago that I had a lovely conversation with the author of Classical Astronomy's monthly Celestial Almanack, Jay Ryan. He mentioned something I found really powerful--something I too easily forget. The Moon that is referred to in 62 verses of Scripture and the Sun that is mentioned 183 times are the SAME Sun and Moon that we see everyday. The Bible also mentions trees and animals and people, but the original ones made in the creation week are long dead. Meanwhile, the SAME Sun, Moon and stars are STILL THERE, pristine artifacts of God's original creative work. How often do I really consider the work of God in the sky? Jay Ryan's monthly Celestial Almanack can now help our family consider it every day of the year! Sometimes people go silent when a person starts talking astronomy. The crickets start chirping and we feel uncomfortable with our lack of knowledge. We don't have to! How often have you been out on a clear starlit night and thought to yourself, I wish I understood what is up there. I wish I could identify what I see and that it wasn't just a jumbled mess of tiny lights to me. This monthly Almanack opens up the doors and shares the great mystery with you. February's Almanack is a 21-page e-book downloadable from CurrClick so it is instant knowledge of the northern sky available for you. On page four we find the whole monthly moon cycle and inside it he sprinkles tidbits of knowledge of significant events that happened over time. He even gives you a link to find your local rise and set times for the Sun and Moon. On the next page, he shows you the whole sun cycle through the month of February and explains what we are seeing during the days of winter. Next we learn about constellations. This is the one thing that I have really yearned to understand and he really makes it so easy! 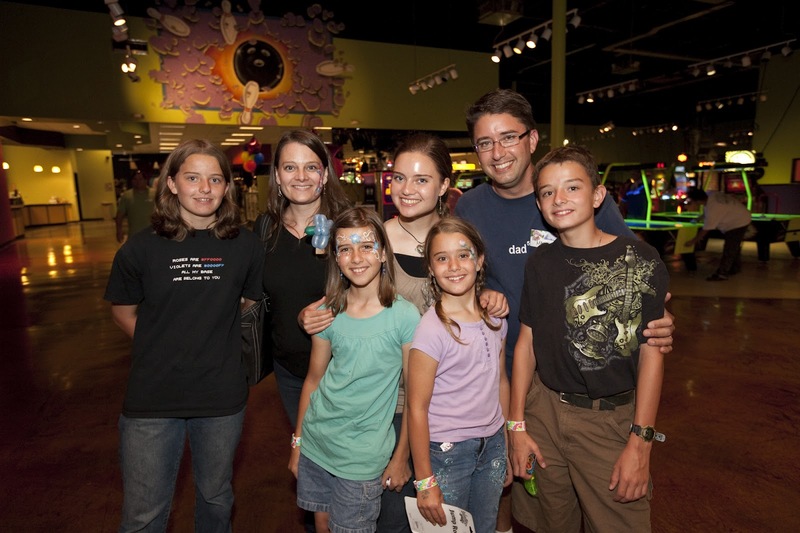 Will your family take the Orion Challenge? Probably the most exciting thing in the night sky is what is happening to the planets Venus and Jupiter. They are coming together in the sky in what is called a conjunction that will culminate in March, but we get to watch it happen all February. Through his beautifully drawn yet simple to grasp artwork in the Almanack, we get to see things from a "God's eye" perspective. This is so helpful to really understand what we see in the sky. "When we look up and seen Venus and Jupiter in the sky, we are actually looking out into space, onto the plane of the solar system." This was demonstrated so we could "see" in the drawings. Last week we were able to visit a local planetarium at a junior college near us. The lecturer was an astronomy professor and he really knew his stuff. What impressed me was that due to studying through Jay Ryan's book, Signs and Seasons, from Fourth Day Press, and now as we begin using these monthly Almanacks, my children not only understood what was being presented, but they could also answer the questions he asked them! What is more, they were genuinely interested and we spoke at length afterwards about it. Then, that very night, we went to my aunt's home on the river where hardly any ambient light is, and they could see the whole of the sky! It was astonishing and exciting. There is nothing like it! I can now look into the sky and understand some of what I see, see the hand of God in all of it, and marvel at His glorious achievement. I know as homeschoolers, we sometimes feel we must stick to the regimen of the science topics per grade level that we think are somehow "assigned" to those grades. 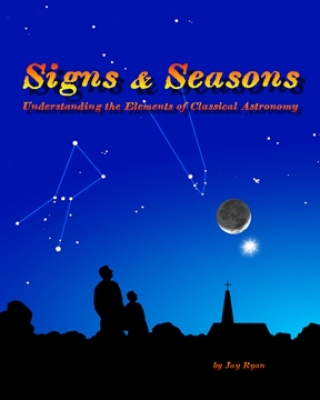 Studying Classical Astronomy, the astronomy that the ancients knew so well, hearkens back to a simpler time where people used the sky every day to tell the time, to tell direction, to understand the signs in the heavens as they lived and worked their land. There is something very powerful about looking at the moon and understanding that it is the same moon that Abraham, Isaac, and Jacob saw; it was the same moon Jesus saw as He walked this earth for us. It links us all together through time. The upcoming months of the Almanack will focus on the Jupiter-Venus conjunction on March 15 (this happens only once every 24 years); the annular solar eclipse on May 20 (this happens only once every 18 years); and the transit of Venus on June 5 (this is the last one until 2117). I cannot encourage you enough to take a look at this wonderful work. Jay Ryan has made something unequaled in the homeschooling world and our family is the better for having had the privilege of using it. Disclaimer: As a member of the TOS Crew, I received this product, at no cost to me, in exchange for my honest review. All opinions are my own.